Last year I pulled together my a few of my favorite murals from around Houston. Since then the mural scene has totally exploded. In large part due to the HUE Mural Festival, that occurred for the 2nd year back in October. Over 100 different artists took part in the festival and painted new murals around the city. And boy did they come up with some amazing stuff! 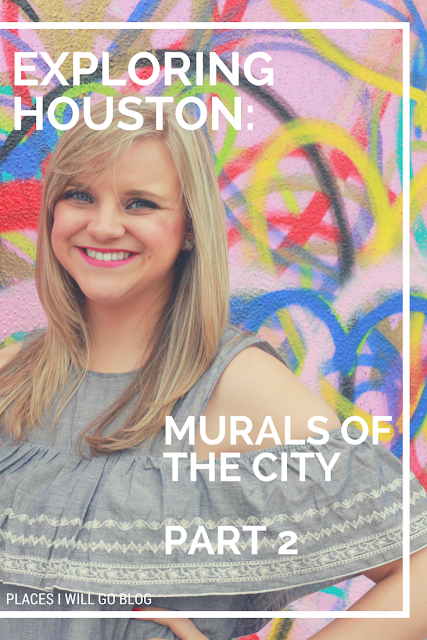 My partner in crime when visiting the Houston murals is Ashley from The Wandering Weekenders so when I found out about a few of the new murals I knew I had to see if she wanted to come along. Plus we were doing out annual birthday photo shoots so we hit two birds with one stone. Attached to each mural you'll find below are links to each of the artists Instagram pages and the hashtags they use for all the photos taken in front of their murals! So be sure to head over to Instagram and give each of the artists some Insta-love! 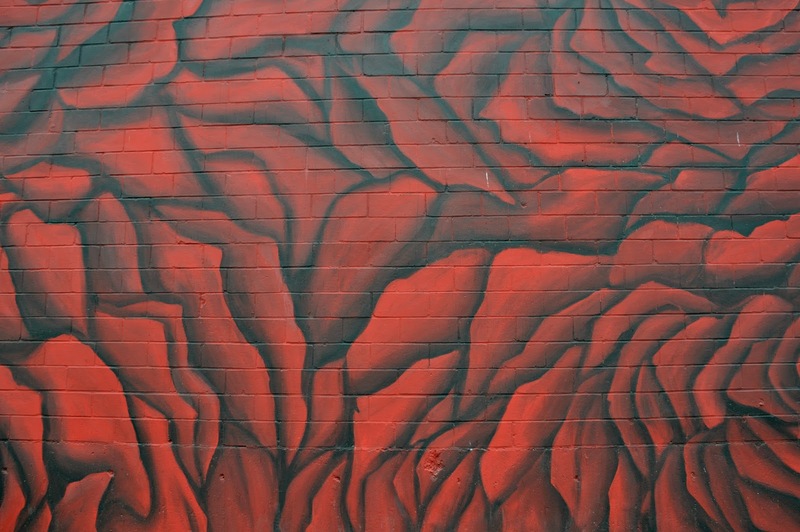 This was the wall that inspired me to find some new murals this year. I originally saw the wall on a friends Instagram post on Valentine's Day. The minute I saw it I knew I wanted to take my 29th birthday pictures here. It's located in the same area as the Zipper Wall. It's a relatively small space and there are two other murals flanking either side but there is still plenty of room to capture pictures. There is a little railing directly in front of the mural so you will have to navigate your pictures around that. You can Instagram the following hashtags to see some of the many pictures people have taken in front of the wall. 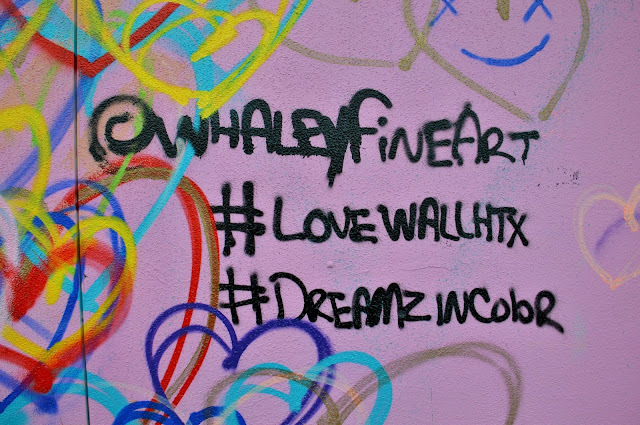 #lovewallhtx and #dreamzincolor. You can find the love wall in the East Downtown area at the intersections of Leeland and St. Emmanuel Streets. So, I'll be honest, this is not a wall that I would typically visit. It doesn't really go with my taste but I appreciate it for the artistic value and the talent behind planning and painting the wall itself. Just about the only think I can draw free hand is a flower so this is pretty amazing and worth seeing in person! 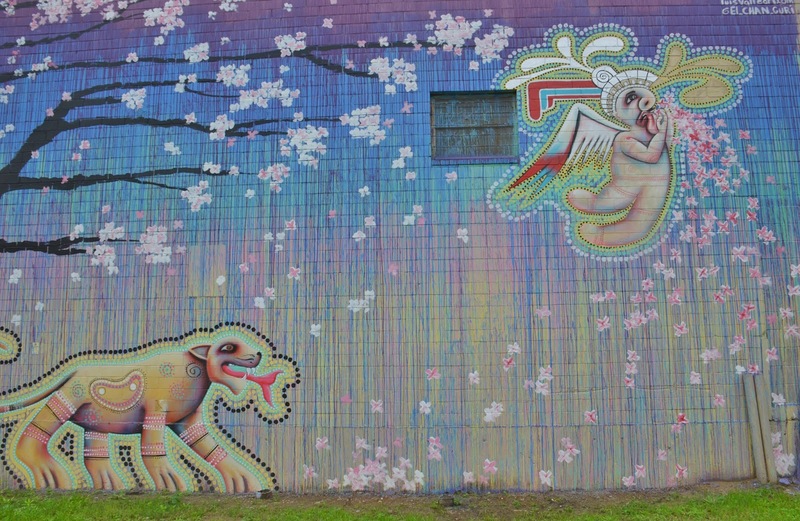 I do however, love the colors that make up the background of the mural. Those are right up my ally. Personally I find puns hilarious so this wall gave me a good laugh. Ashley really liked it so we couldn't resist getting a picture of her in front of it. It's located on the same stretch of wall as the El Chan Guri mural. You can also check out #RoyalMcGee for more pictures and murals by the artist. 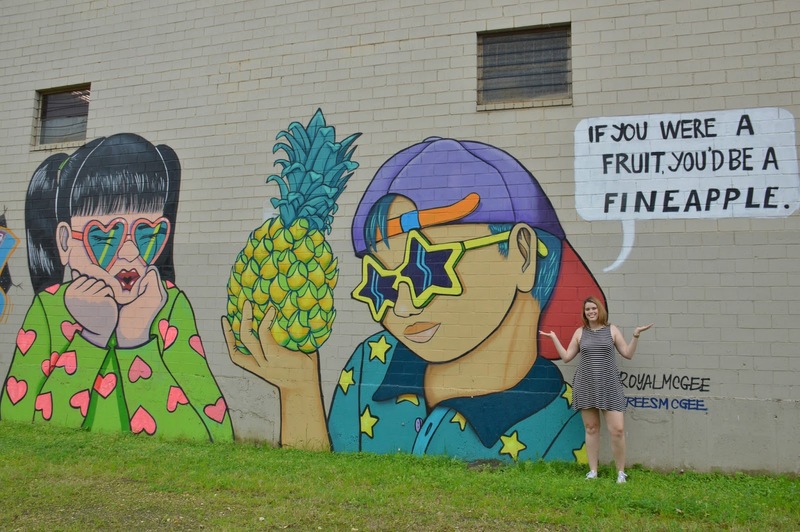 You can find both the El Chan Guri and the Fineapple murals at: 1800 Opelousas St. over by St. Arnold's Brewery. Be aware that your GPS might lead to a sketchy area, so my advice is to turn onto Maury Street the make the first right and you'll be on Opelousas street and will find the walls not problem! 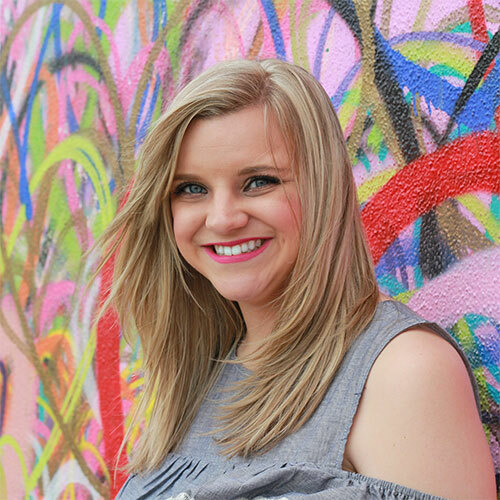 I first saw this wall over on It's not HOU it's me (a fantastic blog where Michelle and Anastasia cover all things Houston and travel related), and thought it was so neat! Especially with Beauty and the Beast having just released in theaters. It wasn't on our list for the day, but as luck would have it we basically stumbled on the wall while we were looking for the El Chan Guri wall. And because of my love of Beauty and the Beast I knew I had to get a photo in front of it. 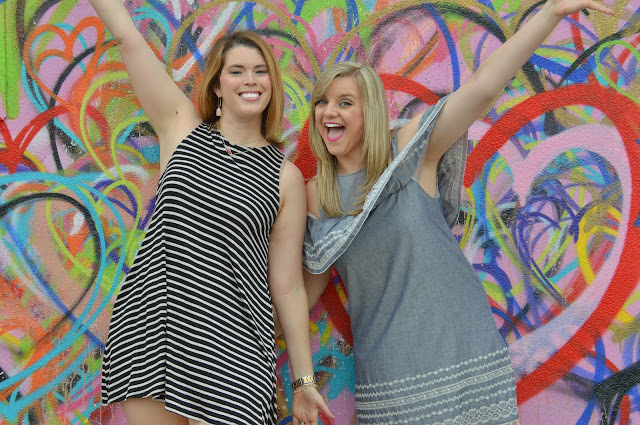 You can find the Rose Wall at: 1213 Maury Street, you'll be in the St. Arnold's Brewery collection of warehouses. Sadly we only were able to snap photos at four of the many murals located at each of these places because it started to get rainy. But there are a ton more murals along the stretch of each wall in the locations mentioned above. Each are so unique and really do have their own story to tell. I'm really hoping the HUE Mural Festival happens again this year, because I will definitely want to attend and watch a few of these murals come to life in real time. 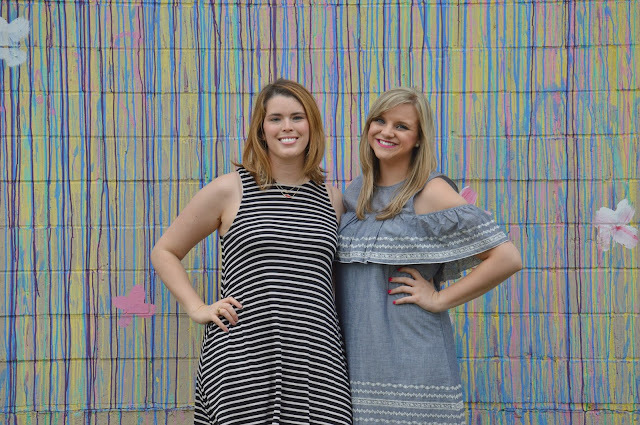 Just like last year, looking for, finding and snapping a few pictures in front of all these new murals was so much fun. There really is nothing like getting out and seeing all that your own city has to offer. Hooray for finding murals in Houston! 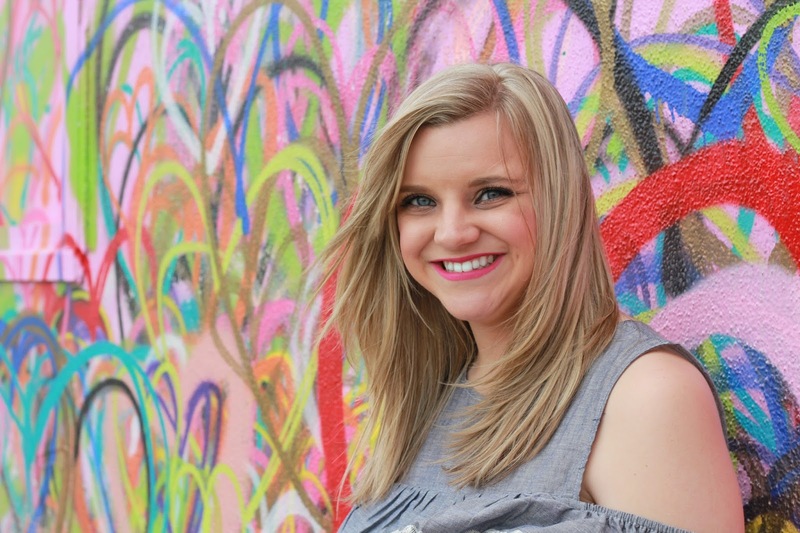 These mural trips are seriously some of my favorite days because I love getting to explore my hometown and seeing parts of the city that I didn't even no existed! 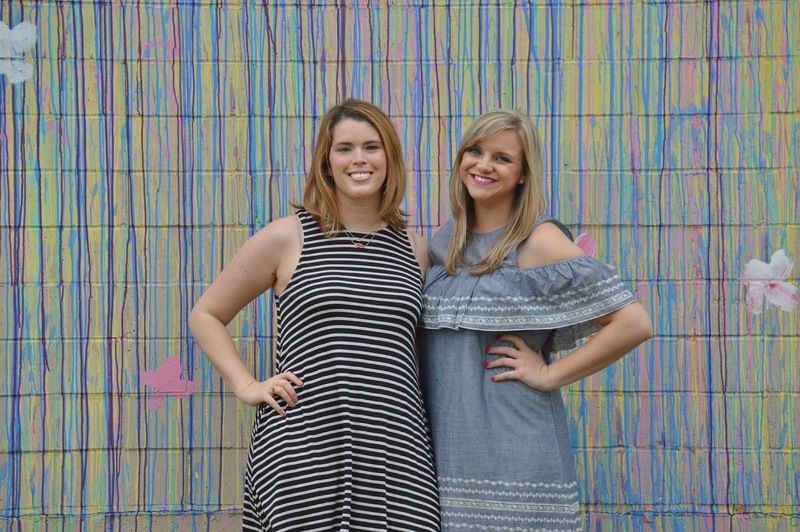 The Love Wall is still probably one of my favorites! I love a good mural! And I'm glad Houston has so many great ones! I need to visit the Love Wall with my man, well drag him to it ha! 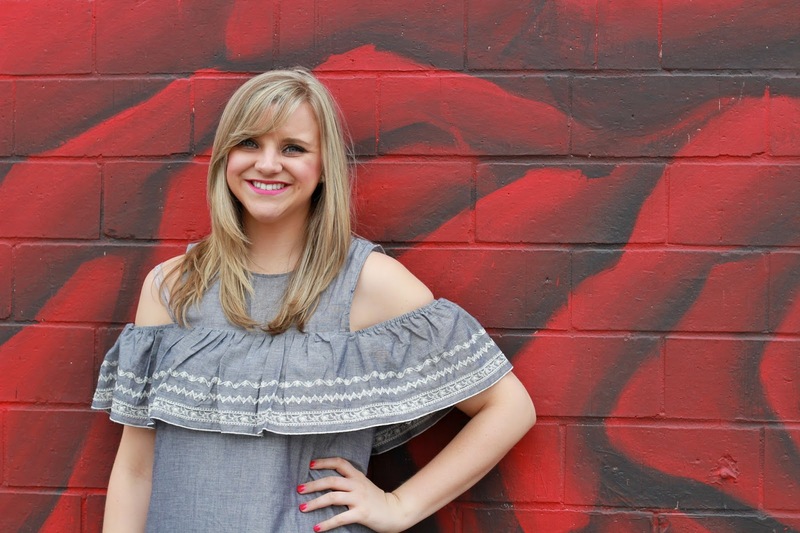 I love the rose mural wall!! It's so pretty!! Sounds Like a fun weekend!! 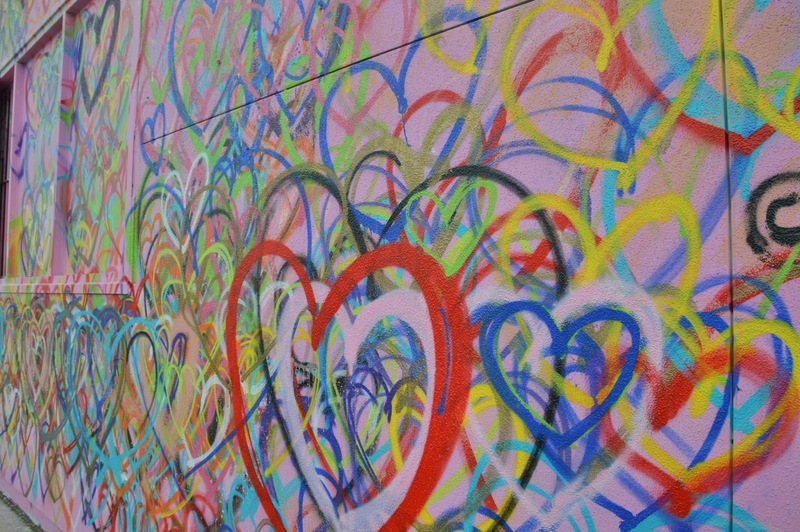 I loe the LOVE WALL!!! Definitely need to check it out soon :) and your dress is super cute!! These are absolutely THE CUTEST photos!! Looks like a blast and those murals are gorgeous.